After months of speculation, Arsenal have finally completed the signing of Sokratis Papastathopoulos from Borussia Dortmund for a reported fee worth around €19 million. The 29-year-old, who also has vast experience on the international stage having made 79 appearances for Greece, will wear the No 5 shirt at his new club. In consequence, the center-back becomes Unai Emery’s third signing of the summer after the free transfer of experienced Switzerland captain Stephan Lichsteiner and goalkeeper Bernd Leno. "It is a beautiful moment and I am very happy that for the next years I will be here. Arsenal are one of the three biggest teams in the Premier League," Papastathopoulos told Arsenal's website. "I'm a normal defender. I like to defend. I like that my team doesn't take goals. I like a zero in the defence and I will do everything to help to achieve this goal." Here's how Twitter reacted to the sensational news. 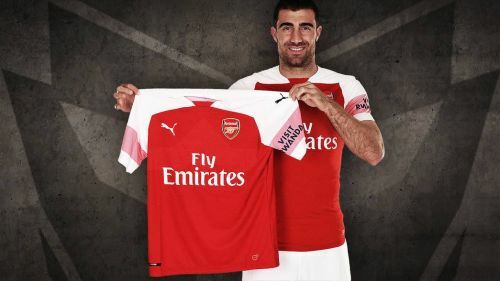 Arsenal sign Sokratis Papastathopoulos from Borussia Dortmund for £17.6m. Good luck to the commentators when Sokratis Papastathopoulos and Konstantinos Mavropanos start as centrebacks! We’ve got Sokratis Papastathopoulos to join Konstantinos Mavropanos. Fun fact: Playing 'Sokratis Papastathopoulos' in scrabble will get you more points than Arsenal in 18/19. Arsenal have signed Sokratis Papastathopoulos. Yessss I spelt that correctly. I deserve some accolades. 😂👍. Visit our Arsenal Transfer News page for all the latest Arsenal transfer rumours, updates and confirmed Arsenal Transfers.